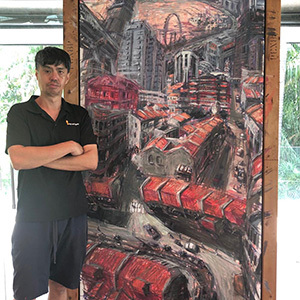 Regional renowned urban landscape painter, Chankerk’s work employs energetic, impulsive, bold brushstrokes to communicate a sense of dynamism and fluxus within the context of urbanisation. 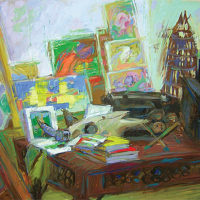 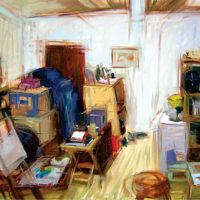 His paintings are marked by spontaneity and immediacy, informed by first-hand observations. 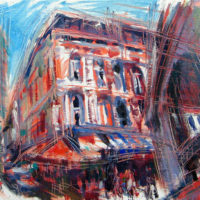 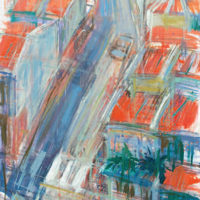 Diffused, abstract depictions of local shop houses, streets and skyscrapers reflect the rapid changes across the Singaporean landscape, rendering familiar scenes as homogenous urban territories. 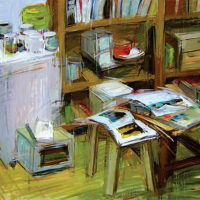 Chankerk is the founder of My Art Space, conducted various art workshops for all walks of life and has lead art adventure trips from Malaysia, Indonesia, Cambodia, Myanmar, Taiwan, Australia, Sri Lanka to Bhutan. 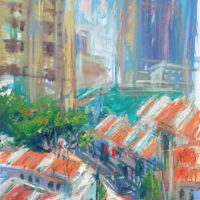 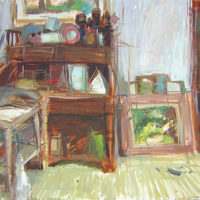 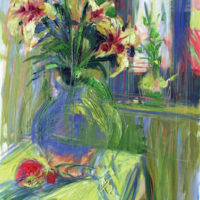 He is the mentor of many emerging artists in Singapore.